Sam joined the Vision team with a wealth of IT skills, an organised approach and a willingness to give our clients a great service. 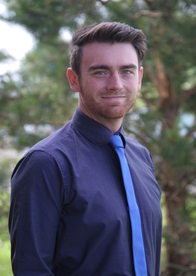 Helping to run our busy head office in Falmouth, Sam spends his time providing technical support for the Vision head office and performing a financial role in the accounting department alongside the Finance team. In his spare time Sam’s passion is spending time with his children and music, after graduating in this field at Bath University.